This week, preparatory construction will begin for the Campus Center Project, impacting traffic on Ferst Drive, sidewalk availability and parking near the Student Center. The section of Ferst Drive between Regents Drive and the CRC will be limited to one lane during business hours. Flaggers will direct traffic in this area between the hours of 8:00 a.m. and 4:00 p.m. daily. Additionally, parking will be unavailable in the southern corners of the W02 parking deck as construction commences to create a new entrance and exit from the lot. Construction work will also begin in the area 3 visitor parking and W03 lot in order to inspect utility lines, resulting in limited availability for parking spaces in some areas of these lots. 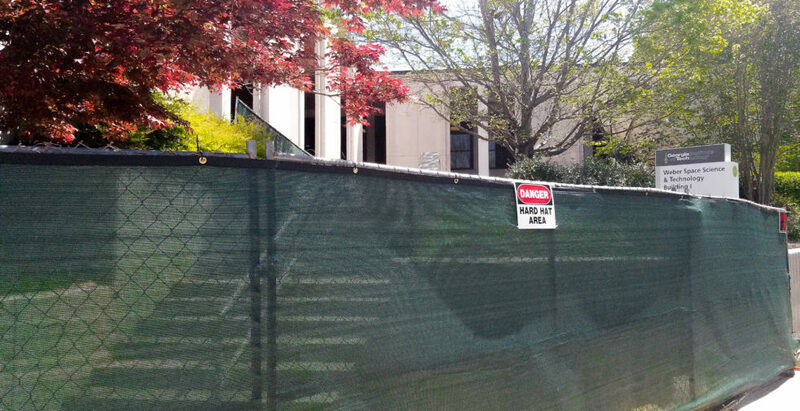 The construction is not expected to impact final exams or commencement activities, and construction crews have been notified to keep noise to a minimum during exam periods. All of these initial preparatory tasks for the larger Campus Center Project are expected to be completed by the end of April. In other construction news, the Weber I building reroofing recently started and is expected to continue through July. The main entrance stairs to the building will be closed throughout the reroofing. Pedestrians will be rerouted to enter through the alternate entrance at the west end of the building. There is no anticipated impact to vehicular traffic other than a closure in a portion of the service parking lot. Furthermore, a natural gas improvement project on Cherry Street began earlier this month and will continue until May 3. Some sidewalk closures are anticipated, and parallel parking on the east side of the street will be closed during the project. Vehicular traffic will otherwise be unaffected. Additional updates for the Campus Center project and other summer construction news and obstructions will be posted on the Facilities webpage at facilities.gatech.edu/construction-notices as they become available.